Atletico Madrid and Barcelona will meet in the semi-finals of this season's Copa del Rey. The first leg will be at the Vicente Calderon on 1 February, with the return at the Nou Camp a week later. 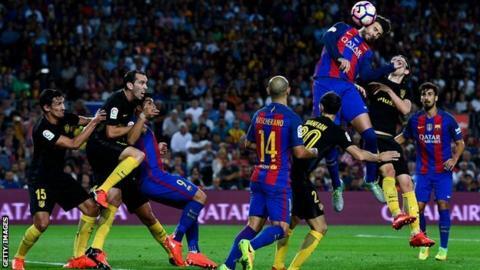 Atletico recorded a 5-2 aggregate triumph over Eibar, while Barca swept aside Real Sociedad 6-2 over two legs in the last eight. Friday's draw also paired Real Madrid's conquerors Celta Vigo and Alaves, who saw off second division side Alcorcon.